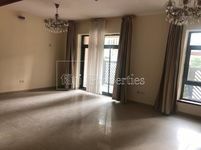 You can find here a massive collection of displayed apartments for rent in The Views community in Dubai. The View is an Emaar project, it was developed in synch with the highest standards of construction in masterplanning with a great emphasis on environment friendly, sustainable, and luxury style of living. The project lies in a central location in Dubai with a close proximity to many of its famous hotspots and tourism attractions. 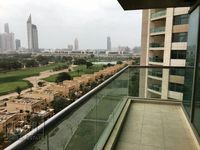 It is adjacent to Barsha Heights and Emirates Hills 2 and lies right off Sheikh Zayed Road, which is an integral binding axis that passes through the most significant developments in Dubai and connects the whole city together. The community has a number of bus stops and Dubai Metro Stations, that’s why it’s very accessible for passengers and motorists. Many of The Views apartments offer fancy views of lush greeneries and vast landscapes that are unrivalled in the whole city of Dubai. Ranging in size, the available apartments for rent in The Views vary between one-bedroom, two-bedroom, three-bedroom, and four-bedroom units. They are designed to fit all demands. All segments of Dubai residents including single professionals, small families, and big families will fit quite satisfying set of options in The Views community. 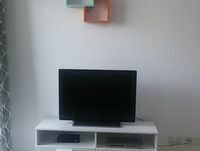 There are many types of apartments in the community including studios, apartments, and penthouses. They offer a wide set of amenities that cater to the community’s residents exceptional leisure moments. Buildings of The Views have access to swimming pools, saunas, spas, fitness gyms, and private car parking spaces. The community is packed with retail spaces boasting variant services including laundry, hairdressing, grocery, and car rental. Residents will find it also a safe and peaceful community as it all residences have 24-security and maintenance system. The lakeside apartments of The Views community are very appealing for all those looking for a vibrant community to live in the center of the city. The Views’ featured apartments for rent come furnished and unfurnished to fit all tastes, some property lookers prefer finding unfurnished apartments since that will give them the chance to furnished the way they want, others prefer totally furnished apartments since they are ready to move at once after signing the rental contract. Just Property has both options available. 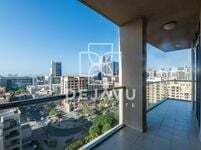 Rental price of The Views apartments are variable, the average cost of an unfurnished two-bedroom apartment is AED 115,00 a year, while the average of four-bedroom apartment is AED 245,000 per year. The Views consists of a number of residential developments including The Fairways, Arno, The Links, Mosela, Golf Towers, Travo, and many other. They all offer high end style of living and they all have access to a large array of amenities. 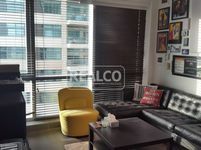 Property lookers will definitely find a fit between our list of apartments, they only need to browse the well-curated lists and check the images and descriptions of each displayed apartment. It’s worth mentioning that to be eligible for renting an apartment, you should show your ID or Visa permit before signing the contract.